Alvechurch Parish Neighbourhood Plan | Giving our Community a say in development. Giving our Community a say in development. Why make a Neighbourhood Plan? At a meeting of Full Council on 27 February 2019, Bromsgrove District Council decided to ‘make’ the Alvechurch Parish Neighbourhood Plan 2011-2030, which now forms part of the statutory development plan for determining planning applications in the neighbourhood area. A referendum was held on the Alvechurch Parish Neighbourhood Plan on Thursday 10th January 2019. The referendum question asked the following : Do you want Bromsgrove District Council to use the Neighbourhood Plan for Alvechurch Parish to help it decide planning applications in the Alvechurch Parish Neighbourhood Area? The result was that more than half of the votes posted were for Yes, and the Alvechurch Parish Neighbourhood Plan will now be taken to the District Council’s Cabinet and Full Council meetings on February 27th to recommend the neighbourhood plan is formally ‘made’. A copy of both documents; the Alvechurch Parish Neighbourhood Plan(NP) and the Alvechurch Parish Design Statement(PDS) that form the NP and that were submitted for referendum approval on the 10th January 2019, can be seen by clicking on these links below. 3. New applications to vote by proxy at this referendum must reach the Electoral Registration Officer at the above address by 5 pm on Wednesday, 2 January 2019. 4. Applications to vote by proxy at this referendum applied for on grounds of physical incapacity, or because of work reason that occurred after 5 pm on Wednesday, 2 January 2019 must reach the Electoral Registration Officer at Parkside, Market Street, Bromsgrove, Worcs., B61 8DA by 5 pm on Thursday, 10 January 2019. Following the independent examination of the Alvechurch Parish Neighbourhood Plan, the examiner’s report was received by Bromsgrove District Council and Alvechurch Parish Council on the 7th November 2018. 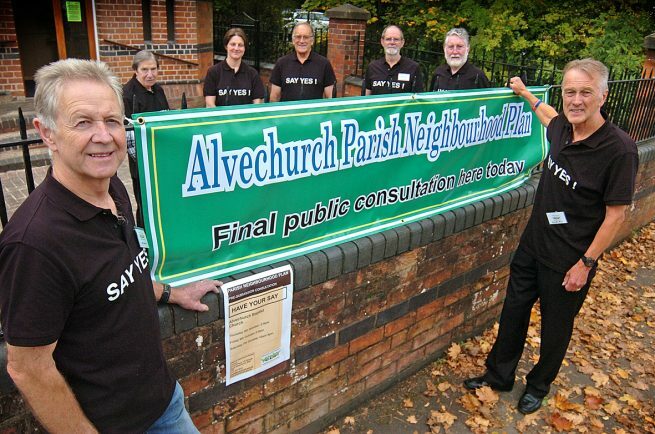 A modified version of the Alvechurch Parish Neighbourhood Plan will now proceed to referendum. The Alvechurch Parish Neighbourhood Plan (APNP) was submitted to Bromsgrove District Council and the District Council is satisfied the Neighbourhood Plan is in accordance with Regulation 15 of the Neighbourhood Planning (General) Regulations 2012 (as amended). The plan is therefore being publicised and representations are invited during the above six week period as part of the Council’s obligations under Regulation 16 of the above regulations. 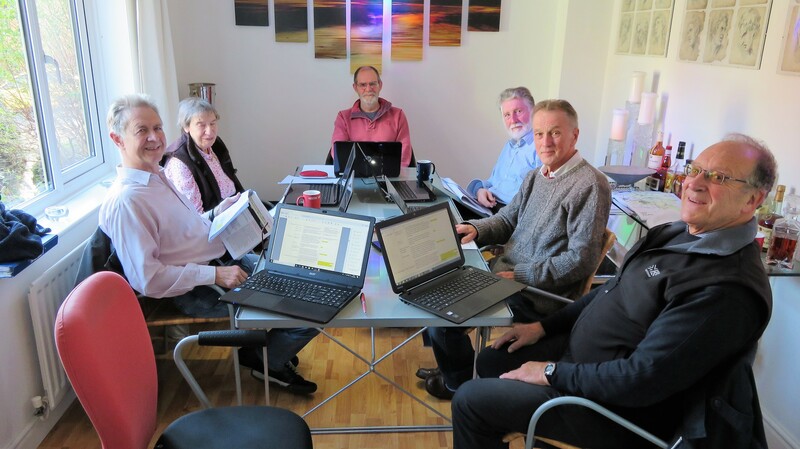 Alvechurch Parish Council, via its Neighbourhood Plan Steering Group, has drafted a number of documents which will soon be submitted formally to Bromsgrove District Council. The Plan and associated documents have currently been through a final 6 week period of public consultation prior to that submission. All local residents and businesses have had the opportunity to comment on the draft NP and its associated documents during that stage, as were many landowners, prospective developers, statutory consultees and many local organisations within the Parish. All pre-submission documents can be viewed here, or downloaded. The consultation finished on Friday 17th November. Comments received are being considered by the Steering Group, and the Draft Neighbourhood Plan document is being amended where necessary .When all comments have been addressed a table of those comments and responses will be posted on this website in the near future following Local Authority comments being received and amended if necessary. The Alvechurch Parish Neighbourhood Plan Steering Group (on behalf of the Parish Council as the qualifying body) is now amending the draft Neighbourhood Plan for the period to 2030. The Plan covers the designated area of Alvechurch Parish. We have asked for your views throughout the project and your feedback has shaped the policies and community projects in the Plan. The final 6-week public consultation ran from October 5th to November 17th 2017 and started with a 3-day drop-in event at Alvechurch Baptist Church…. Copies of all Plan documents were on display and Councillors were there to answer your questions. The Neighbourhood Plan can be viewed at the Parish office, Alvechurch Library and The Lounge café. 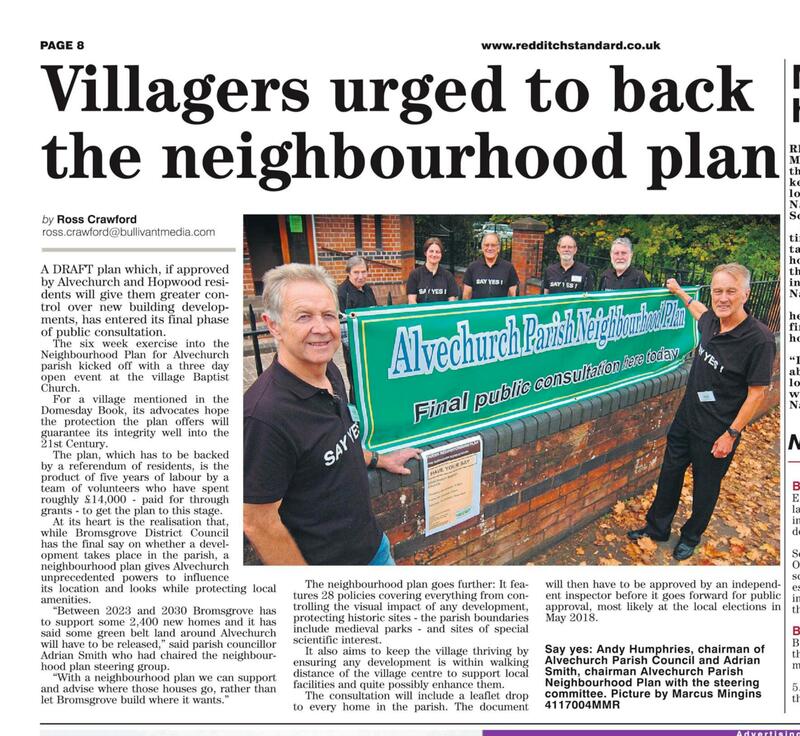 It can also be viewed online at http://www.alvechurch.gov.uk/ and https://alvechurchparishplan.org/. See some of the maps here, that’s included in the Neighbourhood Plan Draft document and the Evidence Base Summary document (still being added to). LATEST NEIGHBOURHOOD PLAN NEWS !!!! These three pictures are the first three pages of a community Booklet soon to be delivered to our parish residents. This will give an update on the NP process ,explaining how things are going. There is also an opportunity to comment on the NP so far so that the Steering group can take on board any amendments or ideas that you may want to pass on to us . By returning your comments there will be an opportunity to be entered into a draw for 5 cash prizes . We are entering into a new era for planning. The Government is placing a renewed emphasis on planning at the very local level because it believes that local people know best what local needs are and how they can influence and shape the future of their area. This local knowledge, and our local sense of what needs to be protected and what needs to change, can really make a difference and our whole community should play a part in deciding on the process. One resident said, “We don’t need any more large housing estates, just small homes suitable for young people and some for our ageing population”. Unfortunately we can’t ignore the fact that some new housing will always be needed for in the future. However in Alvechurch our last allocated development site indicated in the Bromsgrove District Council (BDC) district plan, has now been built on and completed in 2016, now we only have Green Belt land left in Alvechurch Parish. Therefore new housing needed for those years to come, as instructed by Government, will have to be on land released through a Local Authority (LA) Green Belt review. The Neighbourhood Plan thinks our community should have a say if and when that time comes. What does the Neighbourhood Plan do? Develop a shared vision for our Parish and its different parts. Choose where new homes, shops, offices and other development should be built, and influence what infrastructure should be allocated to it. Neighbourhood Plans are optional. There is no legal requirement for our community to prepare such a Plan. However without one we rely solely on the Local Planning Authority development plan and its policies. What is the role of Bromsgrove District Council as the local planning authority? Bromsgrove DC is required to give support, assistance and advice but it cannot control the Neighbourhood Plan preparation process. Nor can it produce a Neighbourhood Plan on behalf of our local community. It is the responsibility of Alvechurch Parish Council to lead the preparation of the community Neighbourhood Plan. Bromsgrove as the local planning authority will also be required to check our proposed Neighbourhood Plan to ensure that it generally conforms to the strategic elements of its own Local Plan and once happy that it has been prepared correctly, it will arrange for an independent examination. If our Neighbourhood Plan passes the examination, Bromsgrove Council will be responsible for arranging a local referendum on the Alvechurch Neighbourhood Plan. The costs incurred by the examination and the referendum will be paid for by Bromsgrove Council. If it is approved by a simple majority of the public it will then have achieved legal status and must be used as the first step within the Local Planning Development Framework. Decide where and what type of development should happen in the neighbourhood. Promote more development than is set out in the Local Plan. Include policies, for example, those relating to design standards, which will then take precedence over existing policies in the Local Plan. This is provided the Neighbourhood Plan policies do not conflict with the strategic policies in the Bromsgrove Local Plan. Conflict with the strategic policies in the Local Plan prepared by Bromsgrove Council as the local planning authority. Be used to prevent development that is included in the Local Plan. So long as our Neighbourhood Plan complies with the above principles, it can be as narrow or as broad as we wish. But it must be primarily about the use and development of land and buildings. It can also have a say in how buildings should look (their ‘design’), or the materials they are constructed from. Protection of important buildings and historic assets such as archaeological remains, a pub ,a shop, or even a Post Office! Promotion of renewable energy projects, such as solar energy and wind turbines, forests. We hope you agree with us that we need a Neighbourhood Plan for our area. Preparing a plan will require a lot of time and effort. Although how much time it will take will vary depending on the issues our community want to cover. It may take between 1 and 2 years so we will need the help of people with a wide range of views and skills enabling us all to reach a broad consensus on objectives, key issues and desired outcomes. The ultimate result should be very rewarding and our Alvechurch Parish Neighbourhood Plan should help our community come together, be stronger and more united for having gone through the process. The process is seen as a positive force for change giving us more control over what happens in our neighbourhood. • Meetings, events, road shows. • The local press and radio stations. In developing our Alvechurch Parish Neighbourhood Plan we need to ensure a two-way flow of information, backwards and forwards between the steering group and the wider community. Bromsgrove District Council approved the designation of the parish of Alvechurch as a neighbourhood area in January 2013. This was in accordance with the Neighbourhood Planning (General) Regulations 2012. The qualifying body was Alvechurch Parish Council. Your printed update for residents received today says there are 6 proposed draft policies for the Housing topic. Will these be published on your website? at the moment the policies are only draft policies and need to be health checked before publishing into the website as policies are evolving as the Neighbourhood Plan progresses. It is proposed that when all policies are formulated these will be shown in a pre-referendum public consultation with a six week period following for anyone to respond. With regards to the plan I am a resident on swan st and would comment on 2 aspects. There is a suggestion of reducing speed limits through the village to 20 mph – I fully support this but a limit will only have a positive impact if enforced and I think it is time to consider having speed cameras at both sides of the village. Cars accelerate from the swan pinch point to well in excess of 30 mph. Has dual parking up Swan st been considered with restricted resident permits and no lines in the road to force drivers to slow down? My second point is about social responsibility. The residents of swan st wrote to the pub freeholders to complain about excessive noise after closing time. This is still a problem with people drinking on the front steps of the pub – could the alcohol exclusion zone include the front of pubs and also be enforced? Thank you Mark, these are issues for the Parish Council to pass on the Bromsgrove District Council re, Noise nuisance and to Worcestershire County Council(WCC) in respect of enforcing a 20MPH limit if the Neighbourhood Plan is successful in convincing WCC Highways Department (who are the legislative department that deals with county highways) that we need 20MPH zones, and its they who should cooperate with police in enforcing speed limits. Hope this answers your question, as the Neighbourhood Plan(NP) at the moment can only suggest these things , its if the NP is supported by our community by voting yes for it at a referendum that it will have then a legal status.